Speed & Position Sensors are perfect to be used with medium to high speed applications in electrically noisy environments with relatively small air gaps. These sensors enable highly accurate motion control, improve operational efficiency and safety. Speed & Position Sensors that we offer accurately measure linear, angular and rotary movement of a magnet attached to a moving object. The non-contact design of these sensors eliminates mechanical failure mechanisms, reduces wear and tear, improves reliability and durability and minimizes downtime. 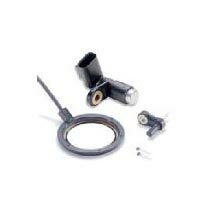 Our Speed & Position Sensors are easy to install, thereby, reducing set-up costs.